Board-certified and New York-trained neurologist Dr. Maria Choy, is not your average American-trained doctor. She graduated from Boston University with accelerated BA/MD degrees in six years in 1984 and went on to do her internship, residency, and fellowship at various prestigious New York metropolitan area hospitals, including Harlem Hospital of Columbia University, the Albert Einstein Affiliated Hospitals in the Bronx, and Hospital for Special Surgery affiliated with Cornell Medical School. ​After years of using cutting-edge technology to evaluate and treat her patients with the latest Western techniques (which she continues to use), she pursued international training programs in integrative medicine. Returning to her ethnic roots, she learned acupuncture from the American College of Acupuncture & the New York Acupuncture Society in 1994-95 and completed her clinical studies at Beijing and Shanghai in 1995. Not satisfied with only an Eastern paradigm of acupuncture, she acquired additional training at the UCLA School of Medicine in 1997 in order to be able to compare both approaches and choose from the best of both acupuncture worlds. ​While in China, she was told by her teachers that her acupuncture training would not be complete without additional training in Qigong. After searching for nine years, Dr. Choy then met Dr. Effie Chow of the East West Academy of Healing Arts, and has learned Qigong from one of the most respected Grandmasters in this country. Qigong is essentially a lifestyle change approach which Dr. Choy has learned and then Westernized in order to accommodate her patients. Dr. Maria Choy is one of the first American-trained doctors to assimilate Western medicine, with Eastern acupuncture, Qigong and Traditional Chinese Medicine principles (treating body, mind, and spirit) in her everyday clinical practice. Because nutrition and lifestyle changes are paramount in affecting permanent change, Dr. Choy also acquired additional training as Health Counselor with the Institute of Integrative Nutrition in affiliation with Columbia University in 2007. True to her own advice of always learning something new every few years in order to remain young, Dr. Choy embarked on a completely new field of training with the Center for Education and Development of Clinical Homeopathy in 2010-11 and has been successfully using homeopathy as yet another tool in her quest to relief the discomforts of patients who suffer from side effects of conventional treatments. 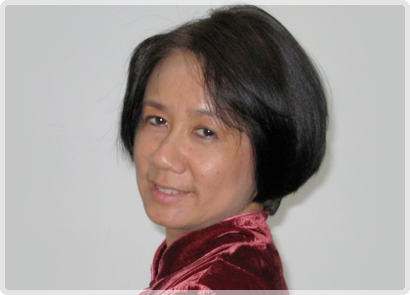 Dr. Choy is published in the field of neurology under the name Maria Choy-Kwong. Choy-Kwong, Maria and Lipton, Richard B. Seizures in Hospitalized Cocaine Users. Neurology 1989;39:425-427. Lipton, Richard B.; Choy-Kwong, Maria; Solomon, Seymour. Headaches in Hospitalized Cocaine Users. Headache 25;1989:225-228. Choy-Kwong, Maria and Lipton, Richard B. Dystonia Related to Cocaine Withdrawal: A Case Report and Pathogenic Hypothesis. Neurology 1989. Choy-Kwong, Maria and Lipton, Richard B. Neurologic and Psychiatric Presentations in Hospitalized Cocaine Abusers. Neurology 1988;38:140. Platform presented at the 1988 AAN meetings in Cincinnati, Ohio. Lipton, Richard B.; Choy-Kwong, Maria; Solomon, Seymour. Headaches in Hospitalized Cocaine Users. Abstract presented at the American Association for the Study of Headaches. San Francisco. June 18, 1988.